First, click Signup Forms in the left sidebar. Then, click the + New Signup Form in the top right corner. Click Choose under Signup Form. Now you’ll be able to select the fields that appear on your form. 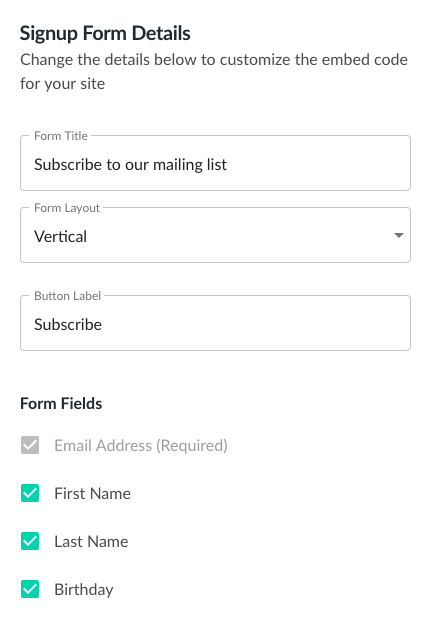 The right side of the page will automatically update with a preview of your form. You can edit the layout of your form, title texts, and form fields. Choose what segment(s) you want to add new signups to in the Add to Segment(s) section by clicking add. This will not appear on your form, but will show up as a new segment or be added to an existing one. Tip: To add users to a segment that already exists in your Hive account, type in the name of the segment exactly as it appears in Hive (case and character sensitive). 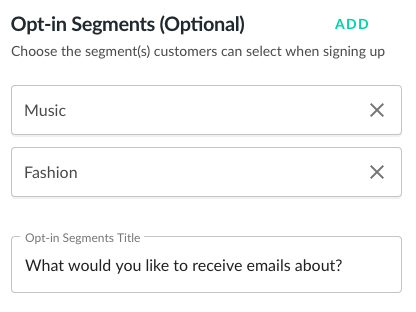 You can customize the interest/preference segments your customers are added to by clicking add to add new segments or X to delete the default segments. These appear on your form as checkboxes. 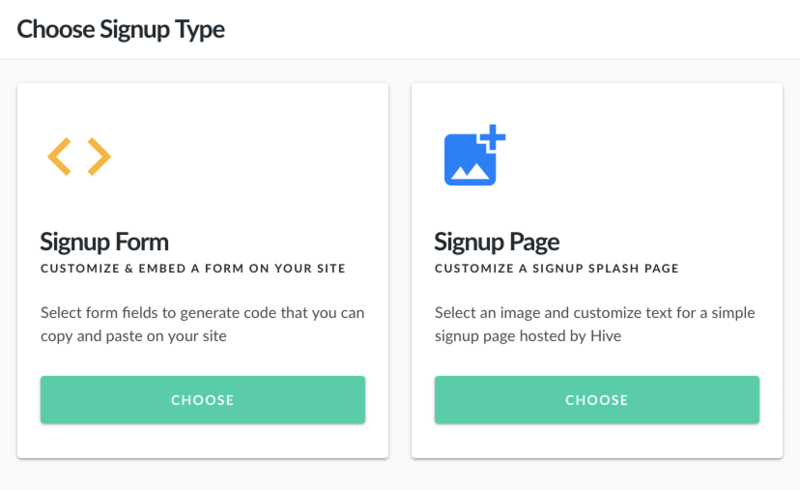 When new signups check the boxes, they’ll be added to the corresponding Segments in your Hive account. 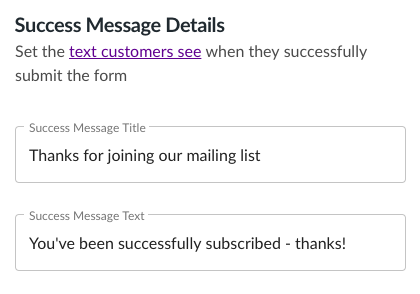 Lastly, you can edit the Success Message that appears when customers successfully enter their email. To preview this screen, simply toggle the button at the top of the form preview to Success Message. 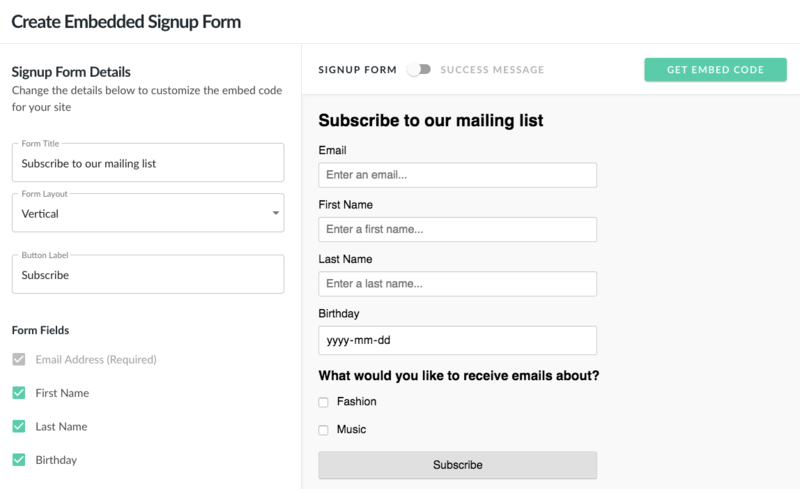 Once you’ve customized your form, click Get Embed Code in the top right corner. This generates the HTML code for you to copy and paste into your site. 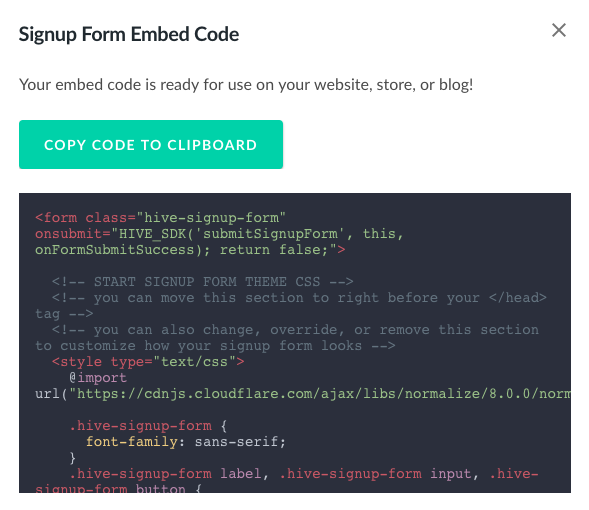 Note: Your signup form details will not be saved in Hive. Make sure to copy your code before exiting!